Our Butler II power supply is a very simple device but is exclusive to us. It works similar to an iPhone charger. Simply plug in our power supply, connect the USB cable after removing the three AAA batteries from the Butler II and hey presto.. a butler II running on mains. Simple. This power supply is the authorised power supply and cable for the Butler II 1 and 5 button devices. Always ensure that you are using the genuine LRS UK power supply because if you use any other unauthorised power supply unit warranty will be void. But more importantly, you might be subjecting your paging equipment to power that it is not designed for and ultimately it is very likely that the system will fail and be irrepairable. The only sure fire way of protecting your system is to use the genuine power supply! 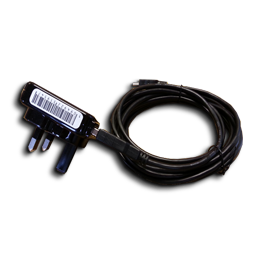 Easy to use and we guarantee our products when you use this power supply and its cable. This power supply is in the form of a wall plug and while you may see this type of power unit everywhere, in this case the power supply is substantially higher output than other 'off the shelf' power supplies. It comes complete with a USB cable and together these two components will offer a perfect solution to operating the Butler II from mains power. Do not install batteries when you use this power supply. The Butler II has been a big seller for PFS push for service type of applications. It can be battery powered with three AAA batteries or mains operated. Fully programmable.